Spoiler alert, this is what you'll be getting when you purchase Apple's upcoming cheeky iPhone 5C. 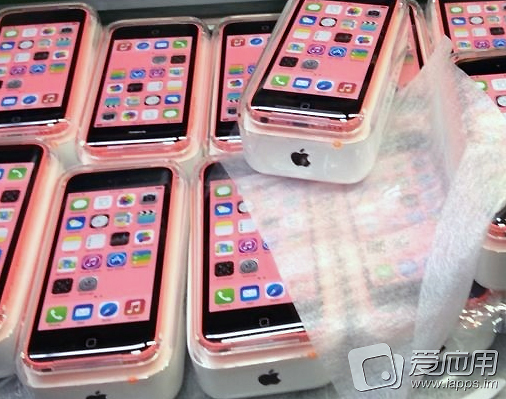 Shown in this leaked photo, dozens of red iPhone 5C devices in retail packaging which in this photo appear pink in color most likely due to poor white balance. 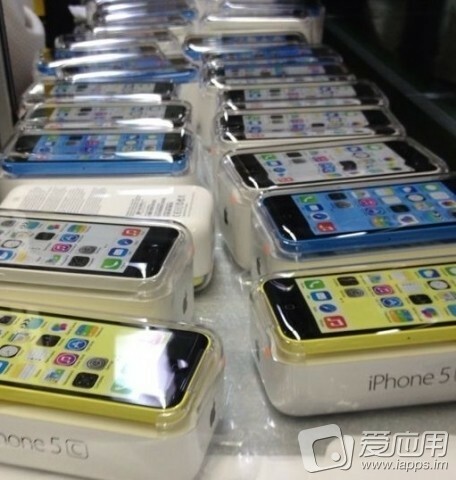 The white plastic capsule packaging checks out with previous leaks that displayed dozens of white empty packaging capsules casually tossed into a bin inside the factory with "iPhone 5C" branding on the side. It looks like Apple has gone with an iPod-esque clear top packaging to showcase all six iPhone 5C colors. In addition, the default wallpaper is set to match the color of the device similar to how the iPod nano 7th generation is packaged. As if we didn't already know, both the iPhone 5C and iPhone 5S will come with iOS 7 at launch. Apple will hold a media event on September 10 where it'll announce its new iPhones. Update: More colors have been leaked.